Wick C. Haxton is Professor of Physics at the University of California, Berkeley (2009-present). Other institutional affiliations include the University of Washington and Los Alamos National Laboratory. His research interests include neutrinos and low-energy tests of symmetries. September 21, 1949Birth, Santa Cruz (Calif.). 1971Obtained BS, University of California, Santa Cruz, Santa Cruz (Calif.). 1973Obtained MS, Stanford University, Stanford (Calif.). 1975 – 1977Postdoctoral Research Associate, Institute for Nuclear Physics, University of Mainz (Johannes Gutenberg-Universität). 1976Obtained PhD in Physics, Stanford University, Stanford (Calif.). 1977 – 1985Postdoctoral Staff Member, J. R. Oppenheimer Fellow and Staff Member, Los Alamos National Laboratory, Los Alamos (N.M.). 1984 – 2009Associate Professor of Physics (1984-1987); Professor of Physics (1987-2009); Director, Institute for Nuclear Theory (1991-2006): and Adjunct Professor of Astronomy (1994-2009), University of Washington, Seattle (Wash.). 1989 – 1997Member, Executive Committee, Division of Nuclear Physics (1989-1994); Member, Council (1991-1995); Chair, Division of Nuclear Physics (1993); Member, Executive Committee, Division of Astrophysics (1994-1997); and Chair, Division of Astrophysics (1997), American Physical Society. 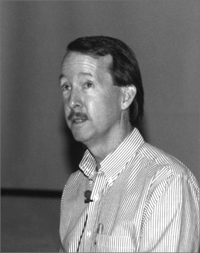 1993 – 1996Member, Advisory Board, Institute for Theoretical Physics, University of California, Santa Barbara. 1996 – 1998Member, Committee on Nuclear Physics, National Research Council. 2001Visiting Miller Professor, University of California, Berkeley. 2004Awarded Hans A. Bethe Prize, American Physical Society. 2008Founding Class Member, Washington State Academy of Sciences. 2009 – presentProfessor of Physics, University of California, Berkeley. 2009 – presentSenior Faculty Scientist, Lawrence Berkeley National Laboratory. PhD advisor at Stanford University, "I. Solar neutrino cross sections for the mass-37 system. II. Semi-leptonic weak interactions in the 2S-1D shell. III. Semileptonic weak and electromagnetic interactions in the Goldhaber-Teller model." Postdoctoral Research Associate, Institute for Nuclear Physics. Postdoctoral Staff Member, J. R. Oppenheimer Fellow and Staff Member. Fellow; received 2004 Hans A. Bethe Prize; Member, Executive Committee, Division of Nuclear Physics; Member, Council; Chair, Division of Nuclear Physics; Member, Executive Committee, Division of Astrophysics; and Chair, Division of Astrophysics. Member, Committee on Nuclear Physics. Obtained MS (1973) and PhD (1976).